These 3.25" x 5.5" mini-plaques are made from scratch by professional potters in the USA. 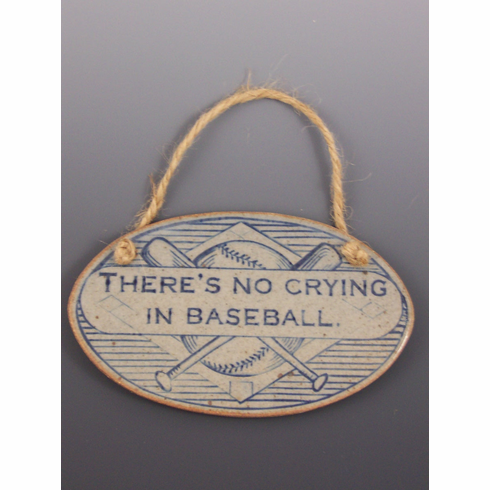 Oval plaque reads "There's No Crying in Baseball." Because these are all hand-made, slight variations in color and design may occur.